Morino IV 96 Bass "SLAVKO AVSENIK" Morino IV 120 Bass "SLAVKO AVSENIK"
Morino V 120 Bass "SLAVKO AVSENIK"
Hohner’s former chief designing engineer Venanzio Morino started making instruments according to his own vision in 1936. The Morino legacy lives on in the series which bears his name. 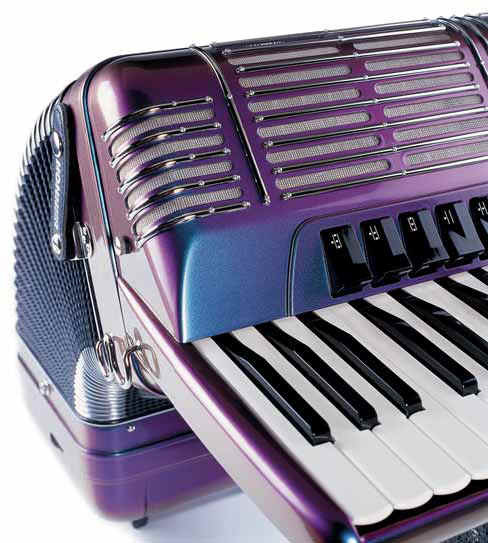 An outsanding feature of the Morino is its tone chamber: an additional resonance chamber in the keyboard, which amplifies warm bass and mid-range frequencies while simultaneously reducing shrill overtones. 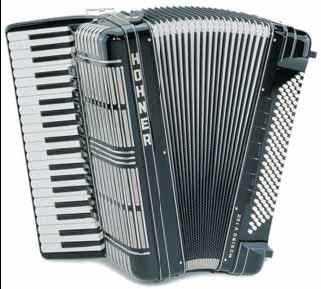 Its unique sound has always been the Morino’s trademark. The wooden core keyboard found in all Morinos features almost frictionless guide elements and is a true engineering feat. It not only ensures that each key has an exceptionally easy and precise action, but also reduces wear. The Morino V chorus construction offers exceptionally varied and musically interesting combinations of voices, thanks to the fifth reed block which creates the so-called “triple tremolo” effect and allows additional tonal variation. 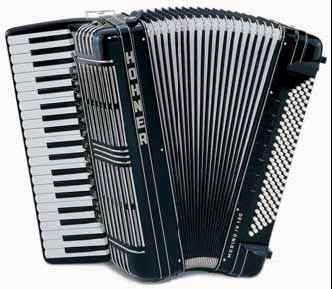 The Tutti register also sounds more voluminous in the Morino V. In addition, the extra weight of the accordion has been reduced by almost 4 1/2 pounds (in comparison to earlier instruments) due to a design revision. With 41 melody keys and 13 chorus combinations, the Morino V 120 is a top-line instrument which is not only suited for orchestra use, but also for professional soloists. All models shown here are available as custom instruments in individual variations. Morino IV 96 "SLAVKO AVSENIK"
SIZE: 7.5" deep by 16.25"
Morino IV 120 "SLAVKO AVSENIK"
SIZE: 7.5" deep by 17.25"
Morino V 120 "SLAVKO AVSENIK"